This week has flown by and as I sit typing this I so wish it was last weekend again. A much needed weekend away with the husband. The sun shone and now the rain is back. And we're half way through this project! 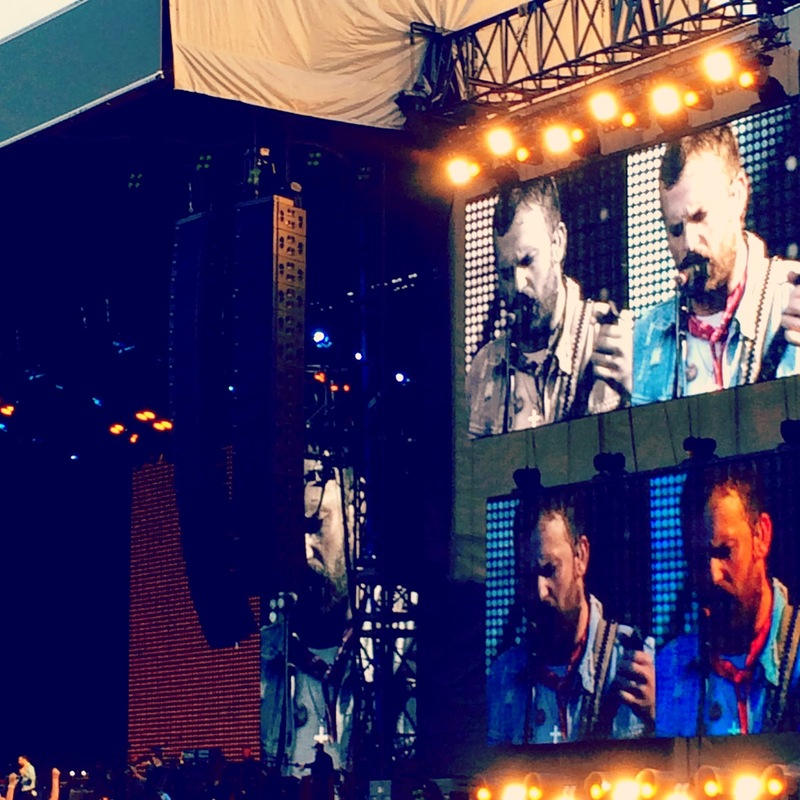 The second day of our weekend away led us to sunny Milton Keynes for the amazing Kings of Leon. I sunk a few ciders in the blazing sun and had a stonking time with the husband. It was much needed. A rather quiet day today following a 5:30 a.m. alarm as the husband had to get back for work. Another downside of owning your own business. 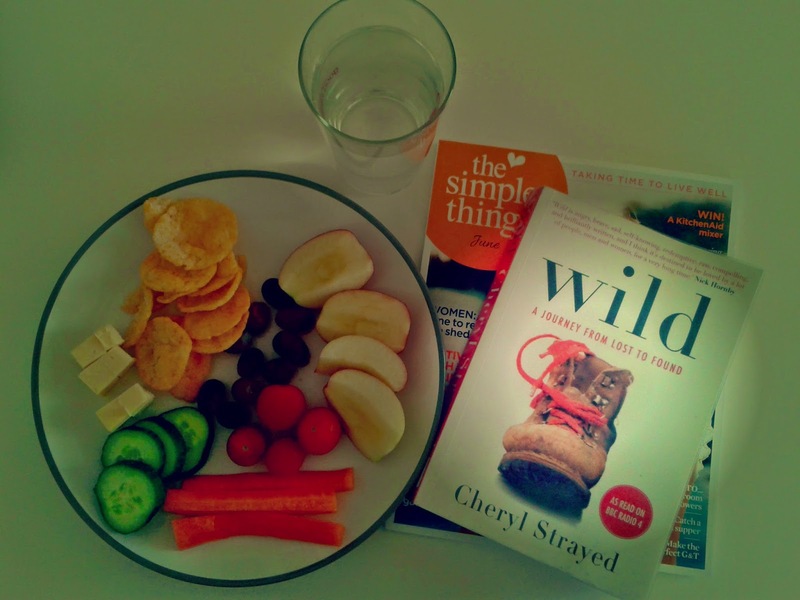 I chilled with some healthy food following the weekend and got stuck into a new book. The girl was rather excited to receive her green Blue Peter badge today. She had built a Minibeast Hotel in the garden a while back. Back to work day. 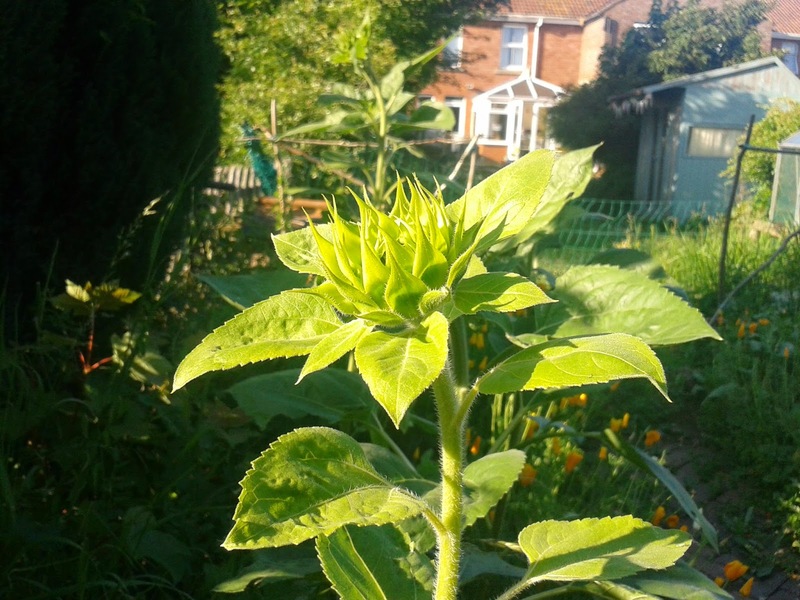 In the evening I wandered down the garden to check on the sunflowers. Not quite there. Early to bed with the new book. It was a spot on recommendation from one of my #postcircle pen pals. The rain certainly arrived today. 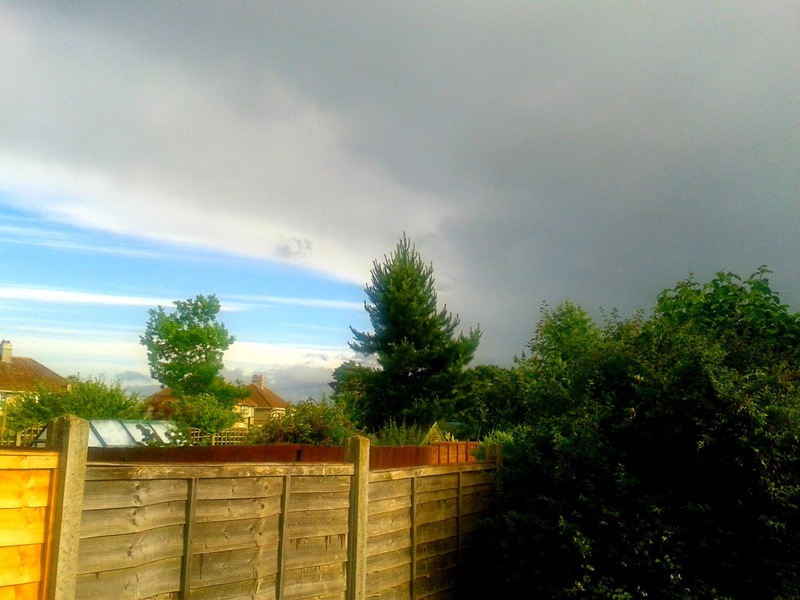 I looked out of the back window and saw a noticeable divide in the outgoing and incoming weather. School Fayre today with some stubborn ducks that refused to stay up. I know how they feel. Well done on the Blue Peter badge, that's great. Wow, to getting a blue peter badge, and a green one at that. I love the Blue Peter badge, how cool. Your lunch looks super healthy, I need to eat better lol. oh wow a blue peter badge!! i always wanted one of those! ooo what book you reading?? well done to the girls getting a blue peter badge, thats fab!! 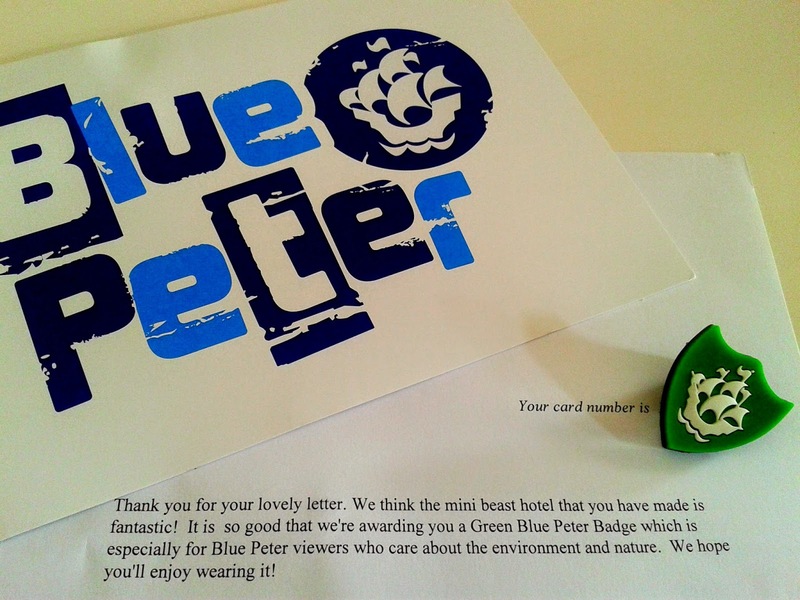 So fab to get a blue peter badge!! Very impressed. The duck pick is so funny. 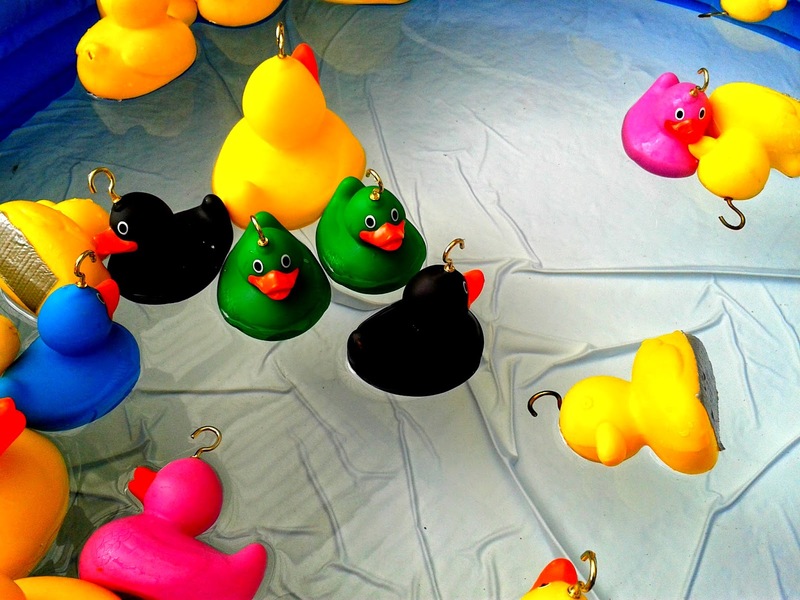 Strange little games that we all have at summer fayres across the country. Very traditional. It is nice to get away as a couple occasionally and spend time with the person you fell in love with. A Blue Peter badge is not a common item, so well done on achieving one. Thats a nice size head on the sunflower, and Iove the colours of the ducks, stood up or not. Weekends away are always good - not so great to have to get up at 5.30 afterwards though! I love your sunflower pic - ours are waay behind that at the moment. Bigger Miss got a green Blue Peter badge - very exciting - now she wants a normal one too so they are both working on getting one! I have to admit to being surprised to discover Blue Peter is still going - assumed it had gone when children's teatime telly went and became a 24/7 affair! Congratulations to her for getting a much coveted badge!